The Beizifu community, is located in the centre of Keerqin Sandy Land, a semi-arid region in Northeast China. The majority of the community is ethnically Mongolian, a minority group in China. Prolonged drought has threatened farming and grazing activities and, affected by low rainfall and increased temperatures, the local community worries about the implications of these on their livelihoods and future of their community. 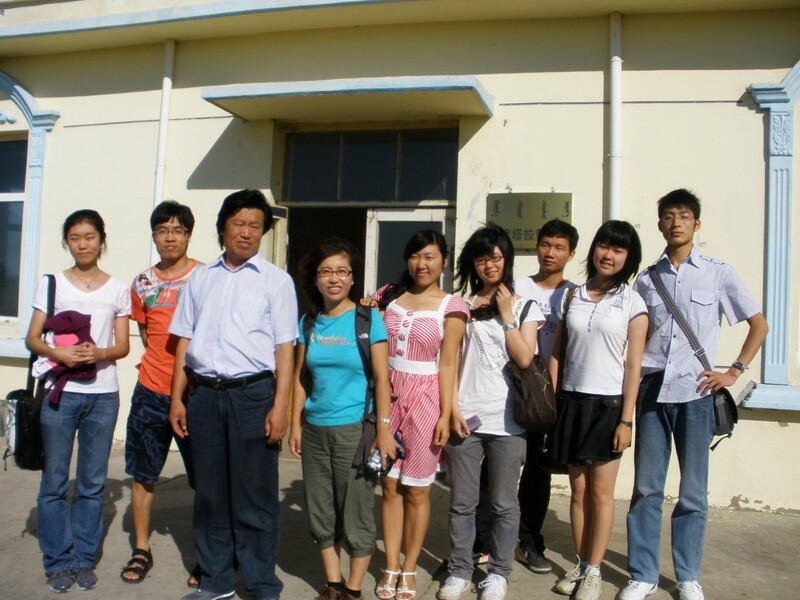 Working with elders, farmers and local officials in the community, Yarong Lu and her students at the School of Agricultural Economics and Rural Development documented farmers’ perspectives on indicators related to climate changes and actions taken by households and the community collective to cope with adverse conditions. This knowledge was used to facilitate a workshop that enabled the community to share their experience. Further awareness-raising was established through the publication of a brochure and an exhibition. The survey shows that in recent 10 years, aggravating droughts and frequent extreme climate events in local community have deeply affected and altered the mode of agricultural production of farmers and herdsmen and seriously impacted Mongolian traditional lifestyles and cultures. Livestock husbandry has gradually switched to a mixed mode of farming and livestock grazing. The reasons for this change include continuous drought and degradation, desertification and damage of grassland source to support the development of livestock husbandry. Besides, in Beizifu community, extensive operation and management of farming and no experience and technology of farming make agricultural income instable. Meanwhile, the extensive farming further destroys grassland vegetation, gradually leading to grassland ecological environment deteriorating. Therefore, in Beizifu community, the production conditions of farming and grazing are getting worse. The transformation from the nomadism to grazing has changed the lives of the farmers and herders, including in the development of a settled community and societal relationships. These changes in agricultural production have put huge impacts on their traditional diet, the way to use water, attitudes of life and other traditional culture. To a certain degree, the changes of agricultural production mode and lifestyle mean the disappearance of Mongolian traditional culture. Even if the celebrations of traditional culture like horsing and wrestling haven’t disappeared, their forms and contents have already changed with the changes in the weather and environment. The study also shows that most respondents take economic security as the first choice of an ideal life. Meanwhile, they also think the beautiful natural eco-environment is an indispensable part of life and they miss the steppe life with bountiful grass and herds of cattle and sheep of a decade ago. In addition, the reservation and inheritance of Mongolian traditional culture are also meaningful. Under the background of protecting cultural diversity, the protection of grassland culture is so urgent that we must first protect grassland, root of Mongolian cultural root. Therefore, in Beizifu community, one important topic is to keep a balance between improving the living standard of farmers and protecting grassland. Another is how to adapt to climate change, especially serious droughts, and how to keep farming efficient and less effect to climate and grassland. In order to adapt to climate change and reduce its impacts on farming, grazing and lives of farmers and herdsmen, the mixed production of agriculture and livestock husbandry is a necessary adaptive behavior for them. However, the extensive mode of farming obviously increases the costs of production, the use of the groundwater and destruct large areas of grassland, which will aggravate the degradation and desertification of grassland. This mode of production is unfavorable to increase income and protect environment. Local residents or households could cut crop acreage and at the same time restore the abandoned farmland to grassland, which will be favorable for sustainable development of local environment and economy. Through these practices, the local extensive farming mode will be turned to intensive one in the part of farmland owned by the rural households. Gradually the herdsmen also accumulate the experience of crop production. The Nature Conservation Association of Beizifu community could play a greater role in maintaining and managing the local grassland. More financial compensation to the families to reduce planting crops and instead plant grass in the part of their farmlands. Technical training and guidance to plant crops and graze animals for the local farmers and herdsmen, which will be better in ensuring the effects of intensive management. Encourage the farmers and herdsmen to construct water-saving agricultural irrigation systems and provide necessary financial subsidies for these behaviors. Consider tourism as a way to achieve goals of economic security and environmental protection. Tourism could be viable due to the location and unique culture of Beizifu. 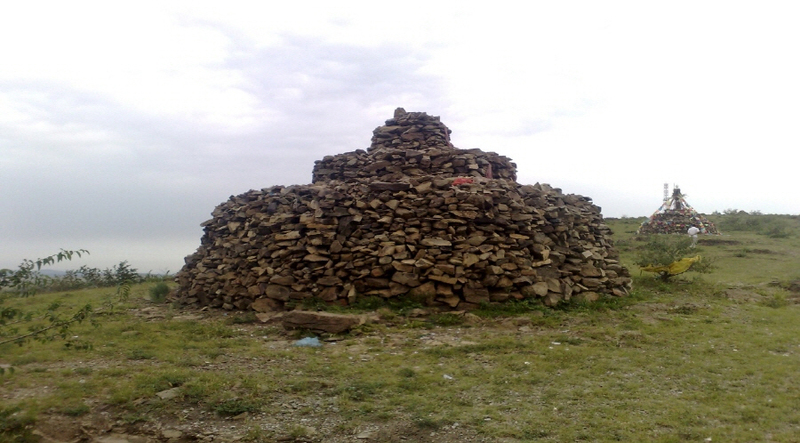 Beizifu community lies in the core of Keerqin National Nature Reservation and more than 97% of the residents are Mongolian. These cultural resources, including Mongolian diet, riding and other traditions, could be used to develop tourism and open up a new source of income and cut down the effects of farming and overgrazing to grassland and local environment.